Valborg was built 1948 in Porvoo, Southern Finland, to serve as a cargo vessel and carried mostly sand and timber between Finnish ports. After she retired in the early 70’s Valborg was fully renovated and became a sail training ship for scouts. 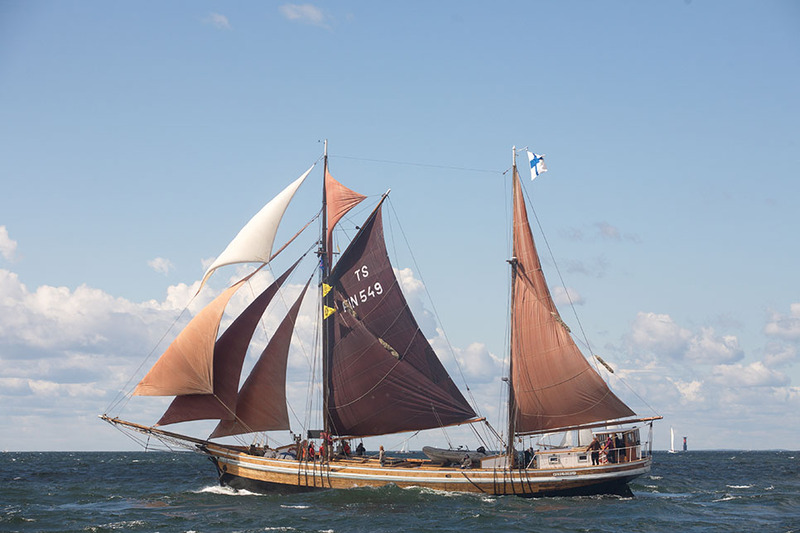 Today the ship is owned by Valborg LTD.
Nowadays Valborg serves as a sail training vessel, participating to events like The Tall Ships Races and offering charter trips to companies and private groups to finance the races. During winter Valborg stays in water (and ice), and serves as a event venue with sauna. Further information, visit www.valborg.fi and www.valborggoestsr.wordpress.com (both in Finnish, emails will be answered also in English). Email tsr@valborg.fi. Valborg is a traditional Finnish ship with experienced and enthusiastic crew guiding you through the experience of your life! Sailing, navigation and the ship's daily routine in three shifts.